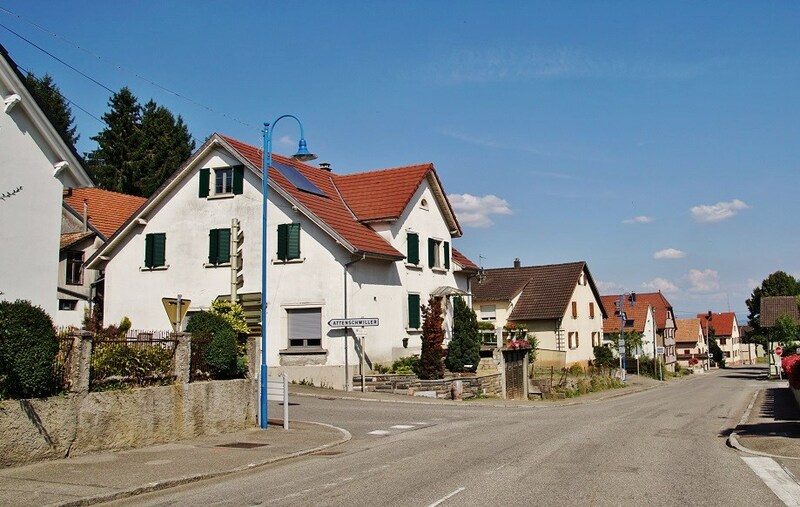 FansVoice: One of our national teams most passionate fans comes from a small French region on the banks of the Rhine. 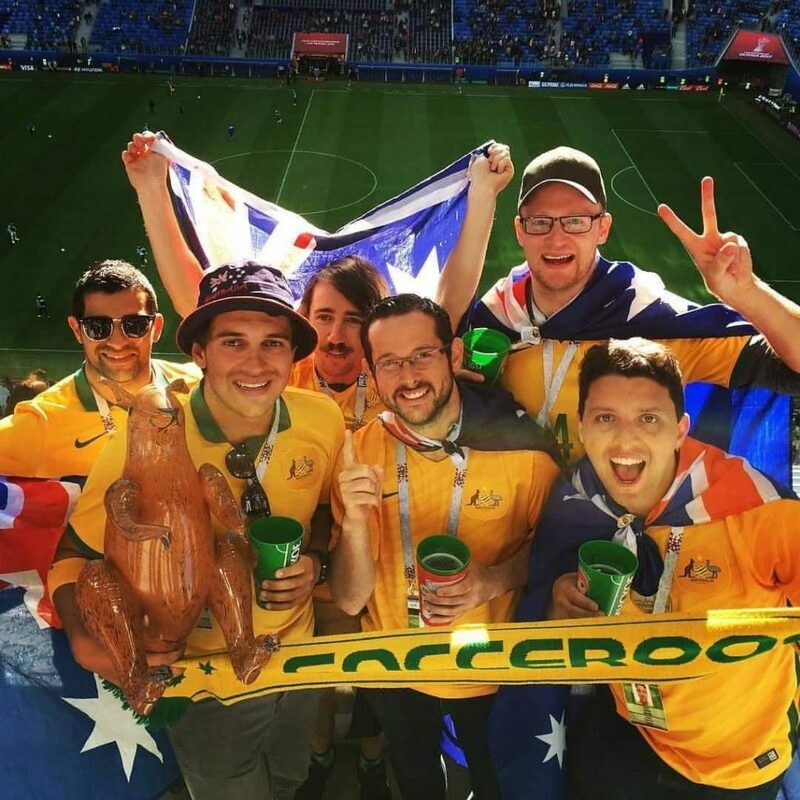 What is it that makes a French/German travel the world to watch the Socceroos? This is Tobias’ story. My name is Tobias, 31, son of a French Austrian father and German mother. I was born and raised in the beautiful region called Alsace in France. I can’t imagine a better place to live, Germany and Switzerland are just 15km away from my place. I currently work as mechanical engineer / maintenance technician for a small company based in Basel Switzerland. My earliest memories of watching football is when I used to go and watch my dad play as a child. Also watching France host and win the World Cup in 1998 is one of my great early memories. I enjoyed football from a very young age. I started playing when I was 5 in the village where I grew up. Well, I guess at that age you just want to spend time and have fun with your friends. I played for the same club for 16 years making my debut with the 1st team at 17. I left the club, after winning the league in 2008, to start a new chapter in Germany near the border. It wasn’t easy the first year because I didn’t know anyone there. 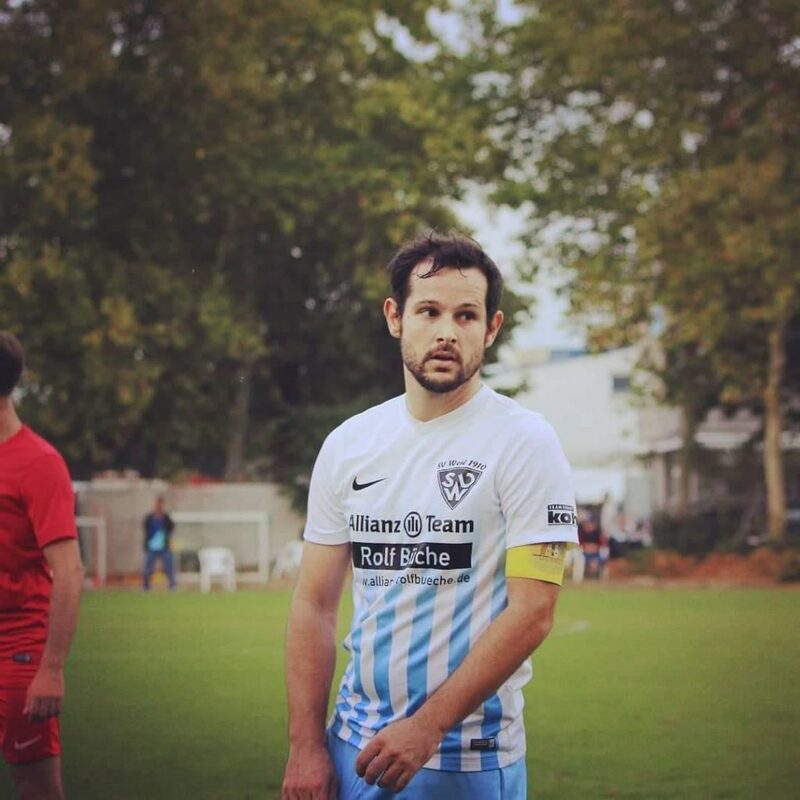 I almost left the club after one season with my new team, but I decided to stay and fight. It paid off as I have now been at the club for 10 years now and got named captain of the 3rd team. I do love competition and hate losing. Probably one of the reasons why I’m still playing today. 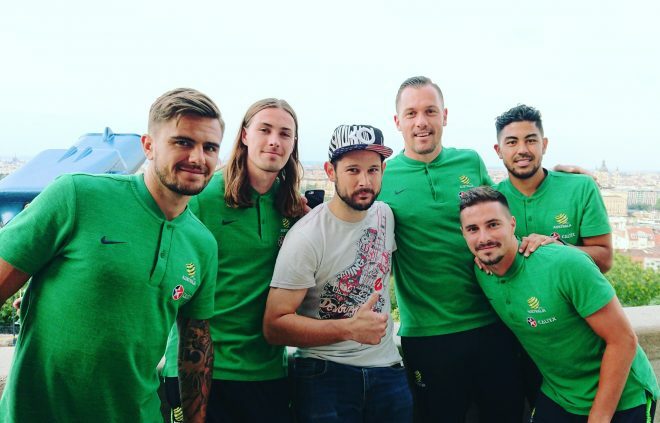 Les Blues to The Socceroos? 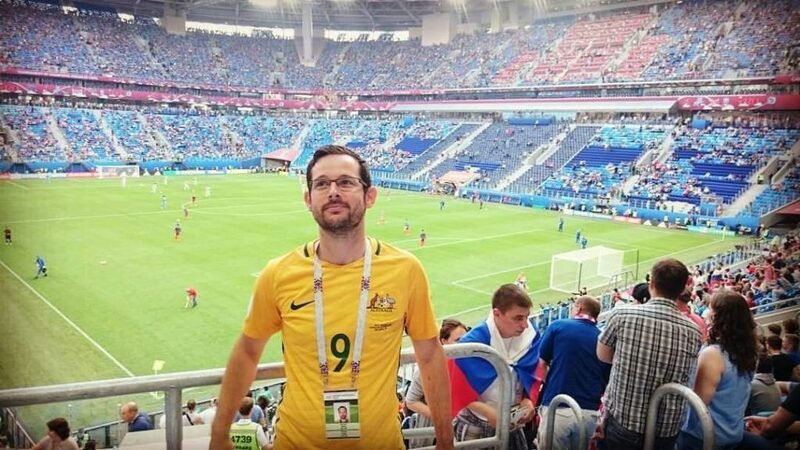 My passion started for the Socceroos back in 2011 when I moved to Australia on a working holiday visa. My roommates told me people would play on hockey fields on Sundays. So I joined and played regularly with the same people. These people came from everywhere, Africans, South Americans, European, Asians and Oceanians. 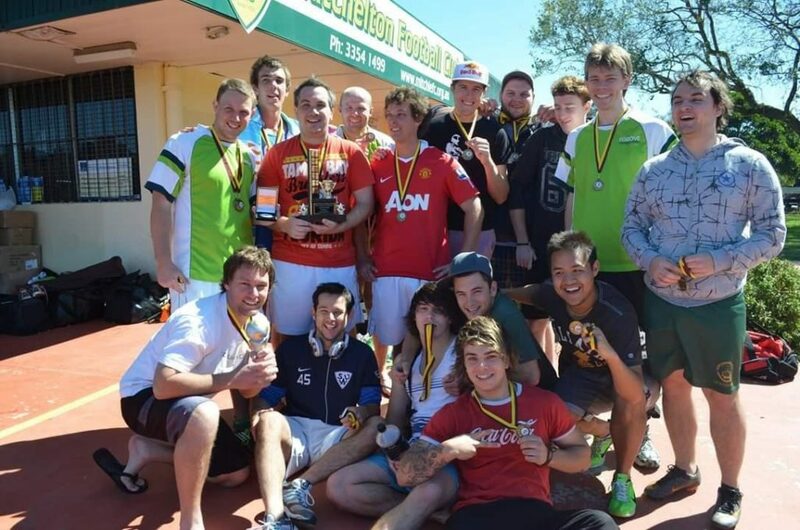 My friends asked me if I wanted to play with a team in the Brisbane Baptist league and I joined the Grove Gunners. We did have a great team that year and won the league. It was a crazy and great experience. They were like family to me. I’m still in touch with my former coach, captain and some of the players. 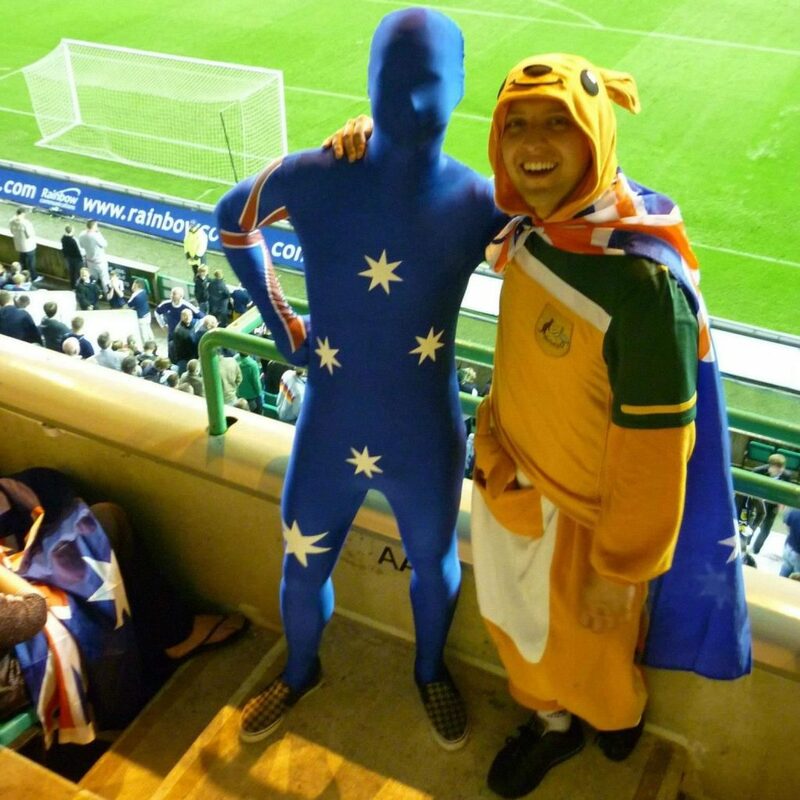 After that I became fan of the Socceroos…. People are often surprised when they ask me why I’m supporting Australia instead of France or Germany. I tell them that I love the country, the people and football in general. Australian mentality is different to European and despite not being Australian, people accept me because we love the same things : Australia, football and a good beer ! I have travelled to many places to watch Australia play. My first game was in Copenhagen in 2012. Since then I went to Scotland, France, England, Germany, Macedonia, Hungary, Austria, Belgium, Norway for matches. Confederations Cup and World Cup in Russia. UAE, Japan, Malaysia, Honduras and Australia for World Cup qualifiers. The craziest I’ve done so far is travel from Basel to San Pedro Sula to watch the Honduras game. 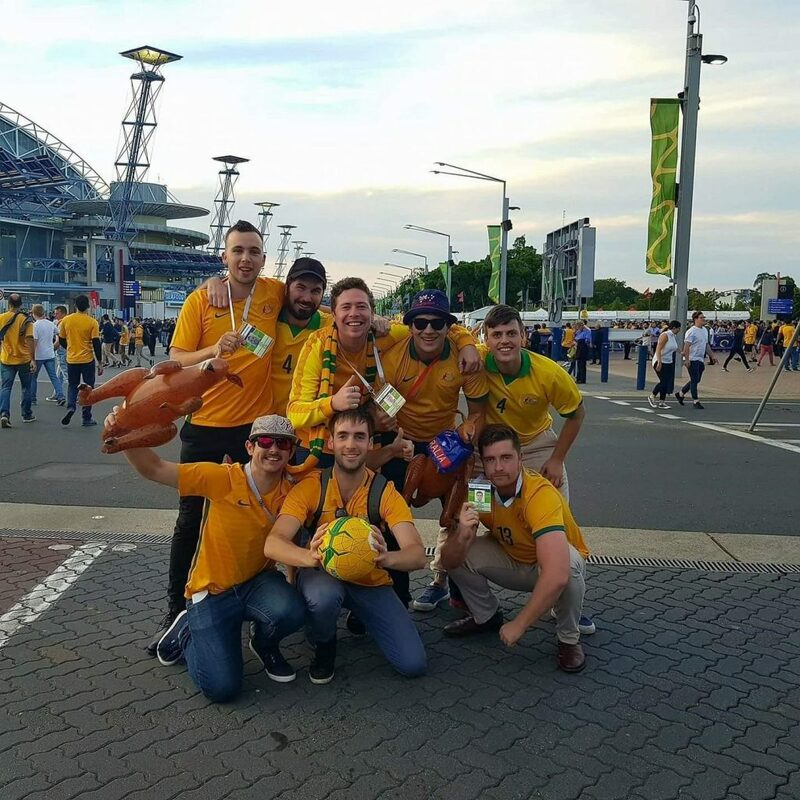 After that I flew straight to Sydney to watch us qualify for the World Cup in Russia, which is the most memorable game I have attended as a Socceroos fan. 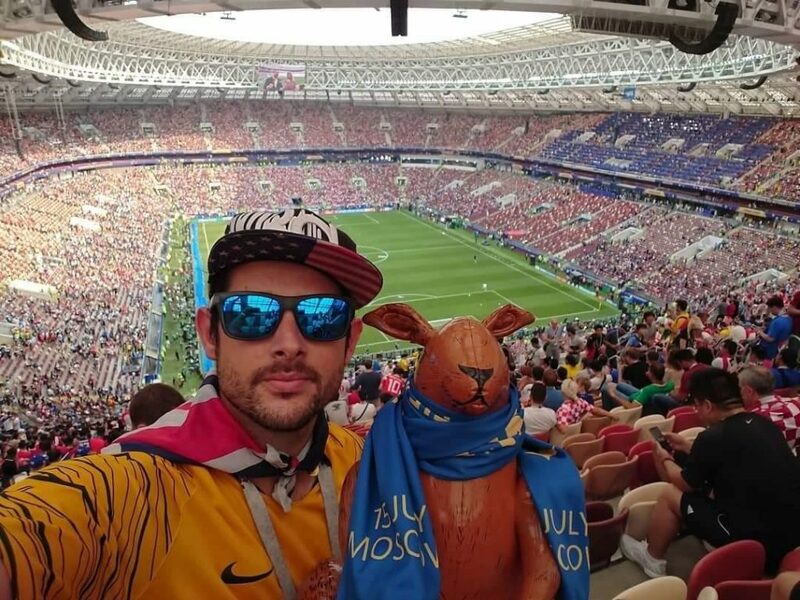 I was also really lucky to have attended the opening game and the final of the 2018 World Cup. Another great time was when I went to the confeds in Russia 2017. I travelled with Matthew Brown and Matthew Rossleigh (who I met at the Belgium friendly in Liège). Most of the boys were living in London, and we stayed in hostels. But the group kept getting bigger and bigger. That’s how I met my good friends Keelan, Alex, Harrison, Mitchell and Lachlan. Since then we’re trying to travel together to the games. Another amazing fan experience was through my friend Petr, a Russian living in Australia. He was the fan ambassador during the World Cup and would organise fan friendlies between competing nation fans. We played France in Kazan the day before the proper game. We then played a tournament in Samara and a game in Sochi. 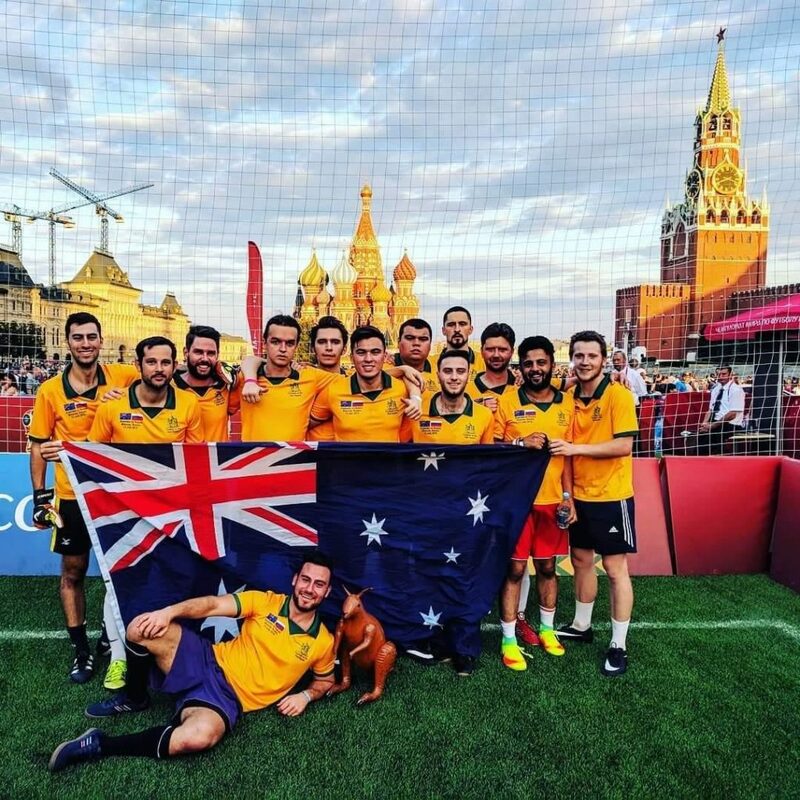 The icing on the cake was the tournament against Russian and Spanish teams in Red Square. On social media I follow my mates and former / actual socceroos. Sometimes you get a like or a reply from them and it’s really appreciated. One of the funniest moments on social media was the “I demand an investigation… “ from the Syrian fans. Pretty sure they’ll tell something similar in January if we beat them ! Next for me ….I’m heading to UAE in January for the Asian cup. I have tickets for the group stage and will stay as long as the Socceroos are still in. 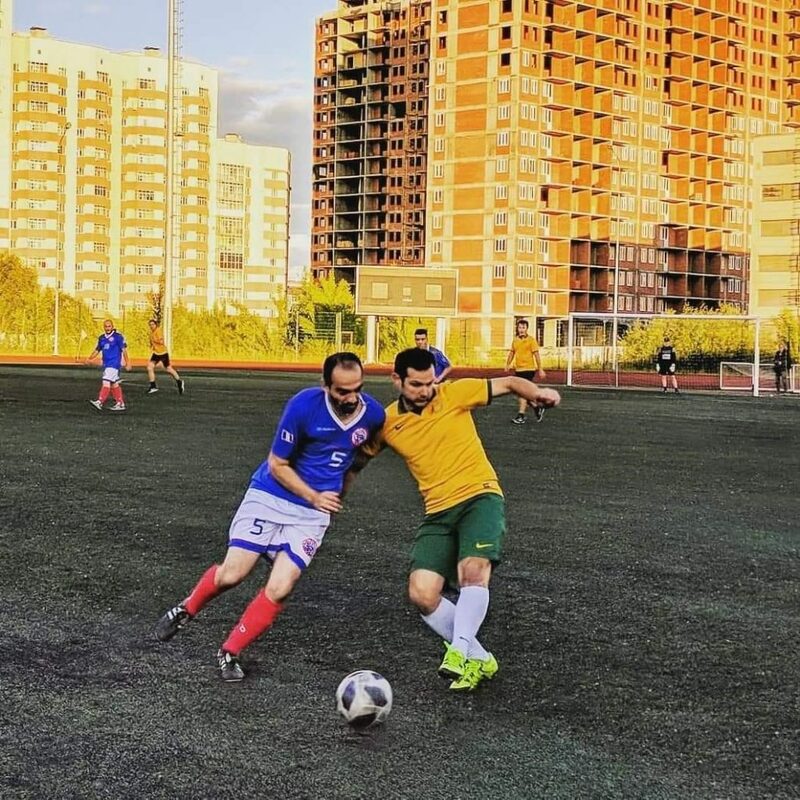 It won’t be easy, many young and inexperienced players, but even if they don’t defend their title, they will get time to prepare for the next World Cup, where I hope again to cheer on the Socceroos.